Professionalism, passion for Miles! Whichever way you look at it Jamie Thomas has the real estate equivalent of both. Jamie has been successfully working in the real estate market since 1998 and professionalism is one of the things he prides himself on. With history of working in sales and management Jamie knows the benefits of working harder and smarter for his clients. He also knows that if you enjoy what you do you’ll do it better and he’ll be the first to tell you that he has a passion for miles unrivalled in the real estate field. Knowledge – experience - communication skills - practical approach – absolute attention to detail - leadership in marketing – JAMIE THOMAS! You’ve probably seen thousands of agent profiles and have any of them pointed out the word professionalism swapped around turns into passion for miles? Now that’s attention to detail! And that’s Jamie Thomas! 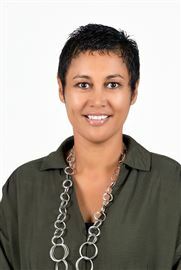 Kiri has worked for Cooper and Co since 2004 in various roles. Her current role is co-ordinating our auctions and auctioneering team across our 16 branches and hosting our busy Auction rooms. Passionate, dedicated and providing outstanding service to both her clients and her customers Alice strives to provide you with an A+ Real Estate experience. With proven results across all sectors Alice understands the process from beginning to end giving every interaction 110% creating raving fans with all her transactions. 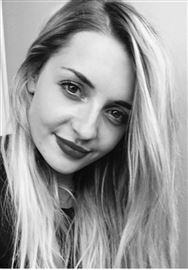 Working with a diverse group of clients and cultures Alice’s customer service shines through with her caring attitude, steady communication and refreshing honesty which is essential to any great relationship. Alice sees her role as helping her clients and customers achieve their dreams in a timely and efficient manner exceeding their expectations on all levels of the transaction. With the ability to speak English and Mandarin, Alice is able to assist all, particularly Chinese clients where language may seem like a barrier to the property market. If you are looking for a focused, hardworking individual then don’t hesitate to give her a call she would love to assist you in making your next Real Estate move in our dynamic market place. Your Trust – in Hands you can Trust! Angela’s positive and optimistic approach makes her popular with her clients. Dedicated to giving the best service, delivering great results and ensuring that the customer experience is as stress-free and as enjoyable as possible, her inclusive communication and attention to detail give you confidence everything is in hand. 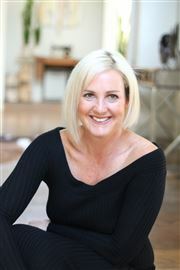 “I like to lighten your load, working alongside you for the whole journey, from preparing for the market through to closing the sale and settlement day.” Strong sales and negotiation skills, plus experience gained from 15 years in advertising and since joining the real estate industry in 1995, give Angela an effective edge for marketing and selling your property. “I have been fortunate in enjoying various roles within Harcourts - salesperson, branch manager and trainer (in NZ & Aus) – giving me the benefit of wide experience and knowledge of the industry, while also achieving over $125 million dollars in settled sales.” Real Estate – it’s about Trust! - to get the job done, with you and your real estate goals front of mind at all times. Feedback from my clients - encourages me to keep seeking ways to improve, to deliver the best possible result and experience for you: •	a dream to work with •	communications with us were timely and concise •	understood our needs and requirements •	works tirelessly •	protects the interests of all parties •	transparent and honest •	high level of skill •	comprehensive practical advice •	continued communication and updates •	a fine example of your industry and profession •	works with professionalism, integrity, energy and politeness I would love to be on your team too! No Wild Promises… Just Sound Advice! 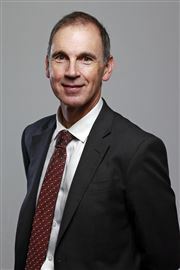 “Sales success”….. is a term Barry is very familiar with after more than a decade in the motor industry dealing with one of the most prestigious brands Mercedes-Benz. Barry has an extensive sales background and brings a wealth of skills in marketing, negotiating and getting the job done! Accustomed to listening to his clients needs and wants and tailor making their dreams into reality. Barry is well known on the North Shore for his professionalism, dedication and empathy if you are looking for a proven performer, a seamless quality in service your logical choice is with Barry Moodie and the support of the award winning Milford office. Testimonials: ""We interviewed people from three agencies, all of whom were very keen to act on our behalf. We chose Barry as he impressed us from the start. He arrived prepared with a visual timetable guide outlining marketing of our house, advertising dates, timeline for suggested open homes, viewings and auction date all personalised for our property after one telephone conversation and unpacked with us during a follow up visit and viewing of the house. Barry's communication and organisational skills were a strength throughout the campaign. The marketing of the property was organised and successful. We were kept well-informed throughout, even during the three and a half weeks we were travelling overseas. Barry sent us regular email updates to follow up on viewings and open home feedback from potential buyers. The auction went without a hitch and we were extremely pleased with the result". - Carla & Jason Veldman "To whom it may concern: We first met Barry Moodie when he approached us to see if we were interested in selling our home. At the time, the timing was not right, however we kept in touch and a year or so later we decided Barry was the right person for the sale of our property. Barry worked incredibly hard with our house. He was well organized and came with a plan that suited our timeline. Barry was easy to communicate with and no request was left unanswered. All through the process, one thing that stood out was Barry’s dedication to getting the best result for us. The open homes were effective and Barry did exceptionally well to get high numbers through. He looked outside the box for buyers and found interested parties ensuring they viewed our property. Due to this high interest, we were able to bring forward our auction and get a result we were very happy with. Barry made this process stress free, tidy and got the sale done quickly. We would happily recommend Barry Moodie for selling your home. 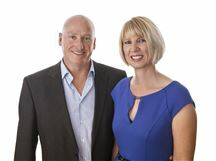 Yours Sincerely David and Eva Nash" "Hi Barry We would like to say a big Thank You to you for all your guidance and professionalism in selling our house in record time. We would not hesitate in recommending you to other people who are selling their home. Best Wishes, Margaret & Laurie"
For two agents with youth on their side, Jordan and Brooke have astonishingly broad experience in all things real estate. Both beginning their careers a number of years ago as Personal Assistants before moving to Associate Sales roles for successful agents, Jordan and Brooke each worked their way up the ladder to having excellent selling careers individually. Prior to combining their skills, Brooke sold for a highly awarded inner-city Sydney office, while Jordan was awarded the hotly contested Rookie of the Year Award for Harcourts. While still at school, Jordan worked at a property investment company. 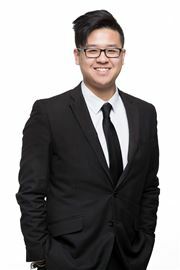 He gained his Real Estate licence as a teenager, at the age of 23 purchased his first home, and in his first six months settled well over $10 million worth of residential sales. 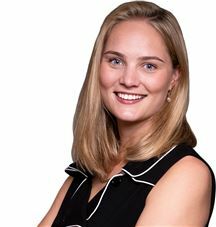 With an honours degree in Graphic Design, Brooke understands the immense importance marketing plays in the sale of a property and holds this at the core of any campaign that she is involved in. With a wide array of experience selling modest apartments to expansive luxury homes, Jordan and Brooke’s professional, enthusiastic approach to their role combined with their passion for people ensures they deliver the highest standard of customer service. Having been described by past clients as honest, professional, determined and friendly, these two are always aiming to exceed expectations and pride themselves on their down to earth nature, integrity, and good old fashioned work ethic. Charles Atkins has been in the real estate business for over 16 years. Having come from a background in radio marketing, Charles has fine-tuned the art of marketing ideas and concepts. Charles provides sound investment advice to assist any investor, whether experienced or new to property and or to achieve maximum investment potential. Join Charles for his investment seminars held quarterly. Charles says, “being involved in property sales is an absolute privilege. It can’t be understated just how significant the process of buying and selling is – for anybody, whether a first time buyer or a seasoned investor. It is absolutely crucial to me that every transaction I assist with, leaves everybody 100% happy. I have to be sure that the people whose lives I have involved with, have their needs met and their expectations surpassed at every stage”. Charles believes he is very lucky to be involved in a profession that he is passionate about. “It’s because of this that I know each and every one of my clients will receive service that promises to be well reflected upon long after it is received”. Buying or selling a home is one of the most important transactions we can make, but it is not something that most of us do very often. It’s a common belief that all real estate salespeople and agencies are the same - however this is not the case, and the decision on who you choose to work with is a crucial one. I hold honesty and integrity as an important part of general life and business and will always uphold these key values no matter what. I offer dedication, enthusiasm, professionalism and a desire to provide top quality service - all backed by New Zealand’s largest leading real estate company. Real estate is a people business and doing it well is all about establishing trusting relationships. With a background in sales and marketing of 20 years, I have excellent communication skills and the natural ability to build rapport with people from all cultures and backgrounds. I strongly believe in attention to detail, courtesy and respect for everyone. It’s the little things that make the big things happen. For a dedicated business professional with a proven sales and marketing track record, Chico Timoti ticks all the boxes. Daniel shin came to New Zealand with his family in 1993 and has been living on the North Shore for more than 21 years. With a background in Construction, entering the Real Estate industry followed quite naturally for him from 1993. Having been a salesperson for the past 20+ years he has always had a strong belief in providing the highest levels of customer service and satisfaction to his clients. He prides himself in giving his clients honest and thoughtful advice and showing both integrity and professionalism at all times. Daniel is a sincere and humble gentlemen and will always listen and try his very best to exceed your expectations. Being able to speak both English and Korean has proven to be a great advantage to Daniel as it allows fluent communication between Korean and other Asian clients with language difficulties. 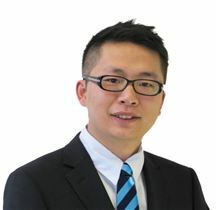 Besides his knowledge in buying and selling homes, he also holds experience in building and development “know how” and often assists with questions – please feel free to contact Daniel and discuss you queries at anytime. If you are looking for an expert and dedicated salesperson, contact Daniel for a free, no obligation market appraisal and he will do his best to utilize his knowledge and experience to help you. EJ came to New Zealand in 1998. He was fascinated with all the different houses in New Zealand and discovered that he had special eyes for property. This newly found passion led him to join the Real Estate industry. EJ is earnest, highly motivated, down to earth, and has a great sense of direction. It is his aim to be the absolute best. He cares for the people and their property requirements, and his computer science and IT background enhances the level of service that he provides. When your property is listed with EJ you can be sure of the most thoughtful service and his effective marketing strategy will attract as many potential buyers to your property as possible. His bilingual ability will enable him to understand the various thoughts coming from different cultures. In choosing Harcourts, EJ realized that he could offer clients all the resources available and provide them with the means to achieve the highest price possible with the least amount of stress. Whether you are seeking a new home or would like to list your present property for sale, you need a trustworthy professional who is both dedicated and personable. Above all, your greatest ally is someone who only has your best interest at heart. Esther He is the kind of agent who is not only armed with integrity and commitment, she values each and every client and thus treats every transaction like it is her own. With a background of unwavering Chinese work ethic, sales industry knowledge, and running businesses of her own, she has acquired the expertise she needs to ensure a seamless, stress-free transaction from start to finish and beyond. Furthermore, she obtained her Bachelor of Administration and Management degree from Victoria University of Wellington. Esther’s edge is found in her multilingual aptitude. 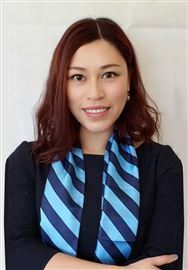 In addition to English and Mandarin, she speaks Cantonese and Hakka fluently, which enables her to cater to a more extensive demographic than other agents in the area. If you are a first time home buyer, experienced seller, or anyone in between, Real Estate Agent Esther He is here to help you turn your goals into a reality. To her, nothing is more rewarding than helping someone with one of the biggest investments they will ever make in a lifetime. Reach out to her today to begin your journey! A little about him. The client/agent relationship is paramount, it requires confidence and surety. Indeed few financial decisions are as important as deciding who should handle the sale of your home. To assist you in this process Harcourts invites you to peruse Graeme Tonkin’s current sales record, his client testimonials and sales statistics. Experience Over 34 years successfully selling North Shore residential property ensures Graeme’s knowledge of this specific Auckland market is based totally on what works for each property segment. Results speak for themselves – with over $370 million worth of property sales behind him during this time, Graeme gets results. Qualified experience is quite naturally demanded by our clients. Graeme, an associate member of the Real Estate Institute holds and AREINZ qualification. This degree of experience covers his previous company’s management during owner absence and ensures only the highest level of agency/client communications & service. Knowledge Effective property marketing requires more than sales ability and qualifications. 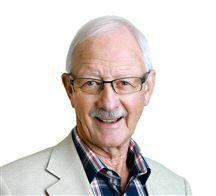 Graeme’s knowledge of local authority regulations, real estate law, building practices, as well as positive negotiation techniques benefits vendors and purchasers alike. Accuracy and accountability are the cornerstones of his service in meeting the demands and assisting in achieving the goals of both vendors and purchasers. 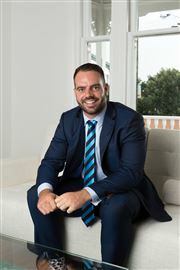 Performance Graeme was consistently at or near the top of the annual sales performance results for his previous company and has now been invited to join Harcourts Milford. His average sale price for the last twelve months is $2,075,000. Heather's past success in Sales, Property Investment and Business Management, provides her with an extensive background and offers you a well organised service. She understands the importance in listening to clients needs, is hard working, focused and offers a service with integrity and enthusiasm. Buying or selling is classed as an extremely emotional experience. Heather is committed to assisting you with as stress-free a result as possible. Backed by a great Harcourts Team, Heathers warm friendly helpful manner will make your next property transaction your best. Born in Tokyo, Hiroko made New Zealand her home in 1994. She has spent most of her career working in international sales and marketing where she has worked with a wide range of customers. Hiroko prides herself on her high Japanese work ethic, which she proudly adapts to include the world famous Kiwi hospitality. Her success in her roles to date has resulted in her winning several awards, including being chosen by her peers for the marketing & planning award, demonstrating her exceptional interpersonal skills as well as her professionalism and enthusiastic personality. Key to Hiroko’s success; is her passion not just to sell but to ensure her customers every need is not only satisfied but exceeded. She is passionate about what she does. Her attention to detail ensures you the promise of professionalism and extra care you can rely on. Require experience and knowledge? Look no further - as a multilingual sales consultants working in the successful Harcourts Milford team I have been successfully selling Real Estate in the North Shore for more than 9 years with outstanding results. My fierce desire to succeed will ensure the highest possible sale price within a reasonable time frame. If you are looking to sell your property in the very near future I would be delighted to meet with you to discuss strategies to sell your property with absolutely no obligations. 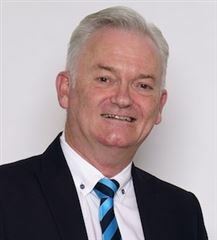 Ken has been a North Shore resident since moving his family from Dunedin to Milford 20 years ago to asist in the establishment of Auckland's outstanding radio stations, NewstalkZB. Most of his working life has been spent in journalism and advertising and marketing. But he has always had an interest in domestic architecture and, along with Gail, has bought and restored a number of interesting homes. He is particularly knowledgeable on the construction of colonial houses, and this lead to his involvement in the rescue and restoration of Takapuna's now well-know Lake House Arts Centre. When it became obvious that Gail had more Real Estate work than one person could successfully manage, it was a natural step for Ken to join her in the excellent Glenfield office. As a team, they go from strength to strength and have invested in technology to even better meet their clients' needs. They are a well known and highly respected real estate due. As one very happy client wrote: "Staff are a company's greatest asset and you are fortunate to have Gail & Ken on the Harcourts' team. We recommend them unreservedly." Starting adult life out in the physics lab for a few years I realised I was not meant to be there! After trying a couple of other agencies I have finally found my feet here as a Sales consultant under the well known Cooper & Co Brand in Milford. You will not find another sales person with as a high work ethic as mine! You can call me any day at any time and I will be available, I intend to help our Team get to number One and there is only one way to get there, Hard Work! Becoming a New Zealander at the age of 8 I speak both Mandarin and English fluently so there are no communication barriers. I love what I do and that comes across as huge Enthusiasm in every meeting, phone call and communication you will receive from me. I specialise in Digital Marketing, getting your home seen by as many people as possible with professional content. I am results focused, your results to be specific! Along with your ultimate satisfaction! Maurice & Monica Bush DDI: (09) 486 8221 / (09) 486 8225 Experience and reputation are two foundation stones on which people base their decision to work with real estate consultants. They want to feel the comfortable rapport that tells them they and their biggest asset are truly in good hands. MAURICE and MONICA BUSH work as a team out of Harcourts Milford office and together offer clients extensive real estate experience over more than 30 years. Maurice looks like he is, solid, dependable, pleasant and ready to help. His business and life partner Monica, supports him and adds flair and straightforward dependability to the successful mix. They both call a spade what it is, and there is never any doubt they will dig an extra row for their clients. Educated at Auckland Grammar and with a family background in real estate that goes back many years, Maurice came to the business after 30 years in sales and marketing in the sports goods and hospitality fields. He is a keen sportsman, involved with the North Shore Rugby Club, the Takapuna Boating Club, and keeps in shape at the YMCA gym. Monica too, came to real estate after many successful years in the advertising and promotions fields, has a fondness for architecture and building history, particularly relating to character homes. 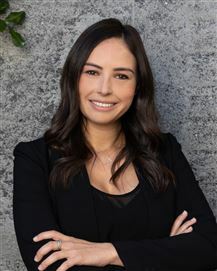 She grew up on the North Shore, was educated at Carmel College, began her real estate career in Glenfield and shortly after this was offered a position in Birkenhead. Maurice has lived on the Shore more than 30 years and together with Monica has accumulated a deep and varied knowledge of the industry on this side of the bridge. As a team and having lived in several areas on the Shore including Unsworth Heights, Northcote Point and now Hauraki, Takapuna and working from Milford, they bring to their business partnership a wealth of skills and enthusiasm which they offer their clients past, present and future. Good help is hard to find, as the saying goes, but in this committed and energetic team of Maurice and Monica you know you have found the best combination to assist you in making your real estate experience pleasant, memorable – and beneficial. Misaki Is a goal achiever. No matter what she does, she does well - that's the motto she lives by. Misaki has a positive attitude and outlook on life, and can offer the best and most genuine service to her clients. Choosing a real estate consultant to take responsibility of your most important financial asset requires careful consideration. 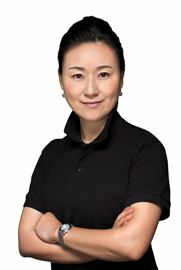 When you first meet Misaki, you are instantly impressed by her honest approach and consummate professionalism, and quickly realize you have found a consultant who will remain passionate and committed throughout all stages of the real estate process. 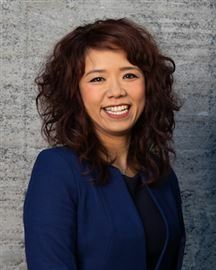 Resourceful and proactive, Misaki combines effective communication skills with extensive property and sales knowledge to identify opportunities and deliver outcomes for her clients. She prides herself on trust and honesty and looks forward to starting a long term property relationship with you today, buying, selling. Maurice & Monica Bush DDI: (09) 486 8221 / (09) 486 8225 Experience and reputation are two foundation stones on which people base their decision to work with real estate consultants. They want to feel the comfortable rapport that tells them they and their biggest asset are truly in good hands. MAURICE and MONICA BUSH work as a team out of Harcourts Milford office and together offer clients extensive real estate experience with almost 40 years in this profession. They offer reliable and dependable information with a pleasant manner and are ready to help. Monica, with her attention to detail, makes sure that all properties are promoted as best as they can, ensuring that all marketing shows the property the very best it can. She brings flair and a straightforward approach to the successful mix. They both call a spade what it is, and there is never any doubt they will dig an extra row for their clients. Educated at Auckland Grammar and with a family background in real estate that goes back many years, Maurice came to the business after 30 years in sales and marketing in the sports goods and hospitality fields. He is a keen sportsman, involved with the North Shore Rugby Club, the Takapuna Boating Club, and keeps in shape at the YMCA gym. Monica too, came to real estate after many successful years in the advertising and promotions fields, has a fondness for architecture and building history, particularly relating to character homes. 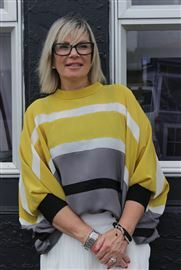 She grew up on the North Shore, was educated at Carmel College, began her real estate career in Glenfield and shortly after this was offered a position in Birkenhead. Maurice has lived on the Shore more than 30 years and together with Monica has accumulated a deep and varied knowledge of the industry on this side of the bridge. As a team and having lived in several areas on the Shore including Unsworth Heights, Northcote Point and now Hauraki, Takapuna and working from Milford, they bring to their business partnership a wealth of skills and enthusiasm which they offer their clients past, present and future. Good help is hard to find, as the saying goes, but in this committed and energetic team of Maurice and Monica you know you have found the best combination to assist you in making your real estate experience pleasant, memorable – and beneficial. Nic is considered the new breed of real estate agent. Customer focused, IT savvy and dedicated to success. His approach is personal and caring, enthusiastic and passionate. He is fully committed to his business and clients, working tirelessly to ensure the best outcome and overall service. Nic understands client requirements, working with them to ensure minimisation of costs and risk and an optimisation of innovation, speed of sale and the final result. With a proven track record of success, he is the overall package for today’s modern real estate marketplace. Rachael is honest, dynamic, passionate & extremely customer focused. She will go above & beyond for both her vendors and purchasers. 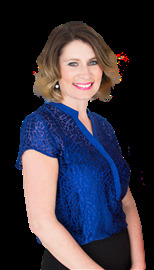 Rachael is IT savvy & loves both the sales & marketing side of Real Estate. She has impressive organisational skills, is hardworking, loyal & determined to succeed. Rachael has joined Harcourts Cooper & Co with a background of over 15 years sales experience, which has seen her as one of the top performing salespeople in the promotional products industry. 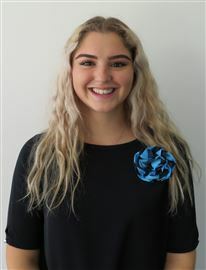 Rachael has a Bachelor of Commerce (BCom) degree majoring in Marketing and Management from the University of Auckland. Rachael is part of the highly successful team at Harcourts Cooper & Co - Milford office - number 1 office within Cooper & Co and number 4 office within Harcourts Internationally. “Real Estate is About Families - where we live, entertain and enjoy our recreation.” It’s a great comment that, clearly, Lorraine and Wayne live by. Having worked as a husband and wife team since they first started in real estate back in 1996 Lorraine and Wayne know the value of family, support and commitment. They’ve brought up their family on the North Shore and are committed to working with and assisting other families to achieve their dreams as their clients, neighbours and friends. They opened their own Real Estate company in year 2000 on the North Shore and now they have come full circle and we are pleased to welcome them back to Harcourts Milford. Raewyn leads the admin support team and with her many years' experience in property management and an even longer background in finance, Raewyn's friendly and helpful nature means that no problem is too big or too small. As Lizzie says "Raewyn is my rock. She's patient and helpful.... all our tenants say that!" Following four consecutive years as the number one agents at Bayleys Mairangi Bay, the services of Damien and Amanda Henaghan have been secured by Harcourts Milford. Why did the CEO of Harcourts New Zealand approach them to join his team? Well, Damien and Amanda are well known as high energy, committed and passionate agents who work tirelessly for their clients. And it shows; at Bayleys they rated in the top 5% of agents nationwide. Clearly passion, savvy and experience gets results. They have a strong reputation of building relationships with clients; they spend a lot of time really understanding the needs and desires of vendors and buyers alike and many of their relationships continue well beyond the sale or purchase. And with technology and media playing a more important part of business Damien and Amanda are leading the way (Damien has a diploma in Multi Media from the Auckland School of Multi Media). So why did they choose to move to Harcourts? It comes down to the word challenge. Amanda and Damien love to succeed, love to please clients, and firmly believe personal growth comes from challenge. Add to that the boutique and personal philosophy Harcourts believe in, and the strength and experience of an international network, well, the choice was easy in the end. So if you’re looking for a proven track record, the advantages of a team who bring complementary skills to the table, and genuinely great people to deal with, you can’t go past Damien and Amanda Henaghan for all your real estate needs. Amy has had over 6 years’ experience in administration and customer service. 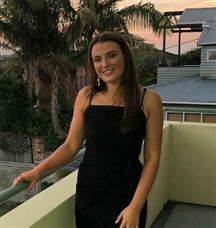 Starting in her role in March 2015 this is Amy's first step into becoming a Marketing coordinator for Harcourts Cooper and Co. She brings important skills to the role including time management, strong organisation skills, a positive attitude, motivation and dedication. Ava’s can-do attitude, friendly personality and drive for a new challenge, attracted her to Harcourts Cooper and Co, in particular to be a part of the award-winning Milford Office. Coming originally from a background in customer service and administration, has meant Ava’s organisational and communication skills are invaluable in helping the Milford team deliver the best service possible. Hiria has a very friendly and professional approach. Hiria is a Personal Assistant at Milford Office and assists with all the administrative and marketing processes that go on behind the scenes. Karen has a background of many years in Retail Banking specialising in Mortgage Lending and being a part of several Management Teams. She later worked as Sales Administrator for a large signage company and brings a wealth of experience and organisational skills to her current role as Executive Assistant to Debs Wallace. With a passion for property and particularly Debs boutique Luxury Property Portfolio, Karen is excited to be working alongside one of Harcourts top achievers. Lisa has over 16 years’ experience in the real estate industry having joined Harcourts in 2002 as the listing / sales and marketing co-ordinator. The past 4 years, Lisa has been the Trust Account Manager looking after all 13 branches of the Cooper & Co Franchise. During her time with Harcourts, Lisa has achieved numerous Company achievement awards and has attended various training courses to upskill herself including completing her Real Estate Sales Certificate, Kiwi Host Customer Services Certificate and more recently a Certificate in Accounting. Lisa’s enthusiasm and dedication for client care are her core strengths along with exceptional organizational skills and love for the Real Estate Industry which makes her an asset to Mark Prior’s team. With an extensive background in real estate here and in Australia and with a family background in developing it is no surprise why Ruby takes so well to a management role in a successful real estate business. If you wonder why things run so well or the sales team seem so slick and on their game, its most likely because of her hard work. With attention to detail and initiative at her forefront she is the perfect person for this fast paced environment focusing on client care and overall satisfaction. She will ensure your properties nuts and bolts are tightly screwed together and your home / product is looked after well while she is on the job. Rest assured she is always there to help and be your listening ear to get everything 150% right. Troy has an extensive background in sales management for household brands such as Hallmark Cards, Coca Cola, Glad Wrap and Masterfoods so negotiating the most desirable outcome for you can be assured. Troy has also spent many years managing large format supermarkets and was a co founder of Photosport sports photographic press agency and library. With a post graduate diploma in business – marketing and direct experience setting up two new businesses Troy will employ the most effective marketing and sales elements to deliver the best results for you. A passionate masters racing cyclist Troy has also coached riders of all ages to achieve their fitness and competition goals. Having lived and worked throughout the Auckland region Troy brings local knowledge to many suburbs. He is well equipped to understand what it takes to plan a move and also set up a new home and is here to guide and support you every step along the way. Being straightforward, hard working and with a selfless desire to help others Troy can be depended upon to get the job done for you. 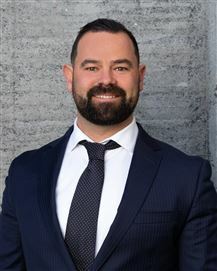 Troy is proud to be on the team with William Tatana offering you an outstanding customer service commitment delivering great results whether you are buying or selling and moving on to your next life adventure. Two bedroom unit in Torbay! All Done - Waiting for You! Snap It Up Before It's Sold! Be First Off The Mark! Life On The Bright Side! SOLD! Love At First Sight! Home And Separate Studio SOLD! Final week before the auction! I AM Ready for a Makeover! One Owner for 50 years - SOLD! Copious Space in this Home! The Property Has Now SOLD! SOLD!! - Just Feels Right! Modern Living At Its Best!!! SOLD by Jordan + Brooke! Entry Level In Westlake Zone! Private & Tranquil - SOLD! Easy Living On The Level! It's all Ready for you!